Yet again Prime Minister Malcolm Turnbull has demonstrated that he is captive to the ultra-right forces of his own party. Bowing to the extremists in the Christian Right, the Turnbull government has announced the first step in the destruction of the Family Court. Consistent with other Coalition government actions it is the most vulnerable – in this case children from broken homes and battered women – who will be the main victims of this reactionary move. Last week, Attorney General Christian Porter announced that the Family Court would be merged with the Federal Circuit Court to form a new court known as the Federal Circuit Court and Family Court (FCCFC). The Family Court as it exists now with its highly trained and specialist judges, consultants and other staff would be mainstreamed. Porter pointed to a huge backlog in cases in the Family Court as the reason why change is required. The backlog is not a result of the system itself but the failure of the government to adequately fund and staff it. The government has not replaced retiring judges. The first thing to be noted is that shifting the Family Court into the mainstream court system will not solve any problems. There are huge backlogs in all the courts, not just the Family Court, and the government has offered no guarantees of the necessary additional funding. Chief Justice Diana Bryant, when head of the Family Court, repeatedly called on the federal government to boost funding to the courts to provide money for registrars and family consultants to ease pressure on the system. In April 2017, four Senators took up the call, passing a motion calling for action in the federal courts system. Bryant, back in 2015, spoke out about family violence and called on the government to adequately fund the family courts which are at the frontline in dealing with parenting disputes involving family violence. Additional funding would ensure that families that are involved in family law disputes, and have experienced family violence, can have their cases resolved in a timely, non-adversarial way; that issues relating to the safety of children can be quickly identified; and can ensure that there is adequate capacity to hear and determine interim arrangements pending a final hearing. But the government has deliberately undermined the Family Court system. If Porter’s plans are passed, there will no longer be a requirement for new judges to have any experience or training in family law, or understanding of children’s developmental and psychological needs. It will only be a matter of time before the Family Court disappears completely. Not surprisingly, there is strong opposition to the dismantling of the Family Court from the judiciary, lawyers, and others involved. They do not want a return to the horrendous pre-Family Court days. National spokeswoman for Women’s Legal Services Australia, Angela Lynch, described the decision as “appalling”. Lawyers and judges have come out strongly against the changes to the system. Specialists in the field of family law such as judges, lawyers, and those working with the victims of domestic violence were not consulted. The changes being proposed are a step backwards towards the old divorce laws where women and children often came second in a court’s considerations. They were based on an adversarial, at-fault system. Furthermore, under the government’s plans, the judges would not necessarily have any expertise or experience in family law. As a consequence this could undermine the underlying principles of the Family Court system. The judges and magistrates will come from a system that is adversarial and punitive, based on wrong/right, guilty/not guilty. Judges dealing with family legal cases will not necessarily have any training let alone experience in a child’s developmental needs or psychological and social issues – the human factor that is so important. This can only result in damage to the children affected. Women are less likely if a case goes to court to have the resources to be represented in court and so defend their interests and those of the family. There is a huge difference in administering family law and criminal law. Before the introduction of the Whitlam government’s Family Court Act in 1976, a divorce could be granted if one party could prove that the other was at fault in the breakdown of the marriage. “Matrimonial offences” such as adultery, cruelty or desertion had to be proven before divorce could be granted. The alternative was to prove that you had been separated for seven years, and then go on the waiting list for your case to be heard. The whole process was very public in nature – divorce proceedings were conducted in the Supreme Court with all the profoundly private and personal issues involved in complex family matters being kicked around in a brutal blame-game. The judge had incredible powers to refuse a divorce with anecdotal evidence of racism, sexism and personal religious beliefs held by the judge colouring his or her decisions. The process could be extremely traumatising, for women in particular. The financial cost of this fault-based court process was prohibitive to many. There were other barriers. For example, a woman who left the family home and took the children to escape domestic violence ran the risk of losing her children unless she could prove in court that she deserted on such grounds her safety or her children’s. The Family Law Act introduced in 1976 is based on a “no-fault” system, where an individual no longer has to prove their partner guilty of adultery, desertion, etc. 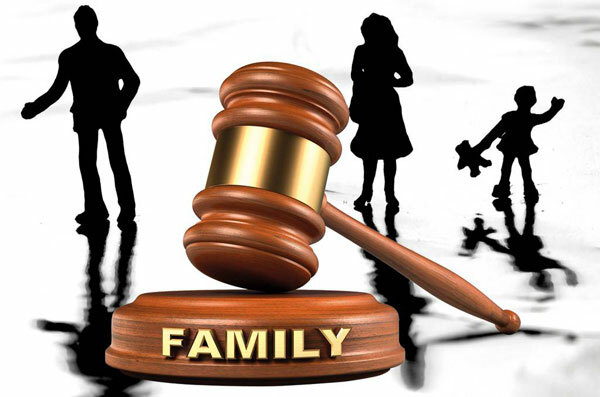 The Family Court was established as a dedicated legal forum for resolution of family law matters. The aim was to provide a less adversarial processes for the resolution of cases concerning family law. As Prime Minister Gough Whitlam said at the time, the at-fault process promoted indignity, bitterness and hostility. It was structured to foster an informal, supportive atmosphere with proceedings based on the notion that family law matters should be perceived as matters of inter-personal relationships, rather than morality. Emphasis was on mediation and reconciliation where agreement had not been reached. Once the laws were enacted, a couple had only to show that their marriage had suffered an irretrievable breakdown – a separation of 12 months – in order to be granted a divorce. The parties could continue to reside at the same address but be defined as “separated”. The law abolished the requirement that blame be assigned in order to dissolve the marriage. Since 1976, the Family Court Act has undergone a number of amendments, increasing the emphasis on the importance of decisions in the best interests of the child and where possible ensuring that children have the benefit of both parents having a meaningful involvement in their lives. Specific mention of the need to ensure safety from family violence has also been introduced. There was vocal opposition to this reform. Self-appointed moral guardians – sprouted in numbers in the Liberal-National Coalition parties – argued that it would increase marriage breakdown and relationship instability and would encourage promiscuity and destroy the institution of marriage. Should the government succeed, the FCCFC would have two divisions. The existing Family Court will become division two with existing judges transferring over. They would handle both family law and general federal law matters. As judges turn 70 years of age they are required to retire. Over time this will mean a decreasing number of specialist judges, each with a smaller proportion of their time on family law matters. Angela Lynch, national spokeswoman for Women’s Legal Services Australia, warned that the overhaul would have significant consequences for vulnerable women attempting to navigate the legal system. New appointees to the court will not be required to have any expertise or experience in family law, a highly complex field in which a great deal of understanding of domestic violence and the needs of children is required. Lynch also raised the concern that the government may have done a backroom deal with the racist, xenophobic Pauline Hanson who has been persistently calling for the destruction of the Family Court since her first speech in the Senate. Following Porter’s announcement, Hanson immediately took credit for the overhaul, saying she was “proud” of the role her party had played in prompting the shift. Former federal Attorney General George Brandis commenced the process of dismantling the Family Court when he appointed John Pascoe, Chief Judge of the Federal Circuit Court, as head of the Family Court in October 2017, just 14 months out from turning 70, the mandatory age for retirement. Pascoe is there to do a hatchet job on the Family Court so that the changes can come into force at the beginning of 2019. The government’s decision to dismantle the Family Court pre-empts the findings and recommendations of an 18-month review of the Family Law Act being undertaken by the Australian Law Reform Commission. There is some room for improvement in the system and this is what the government should be addressing, not throwing it out. This is yet another move by the Coalition government to win over the extreme right, in particular the forces who might be attracted to Hanson’s One Nation party. The Family Court system must be defended and adequately funded, resourced and staffed.